Do you need a cute spring wreath that costs under $15 and can be made in about 10 minutes? 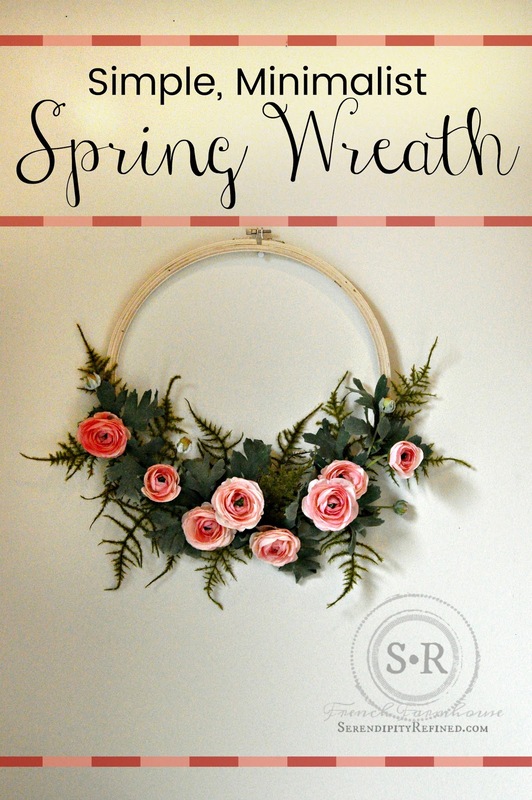 This simple, minimalist spring wreath is super easy (and super cute). Trust me. 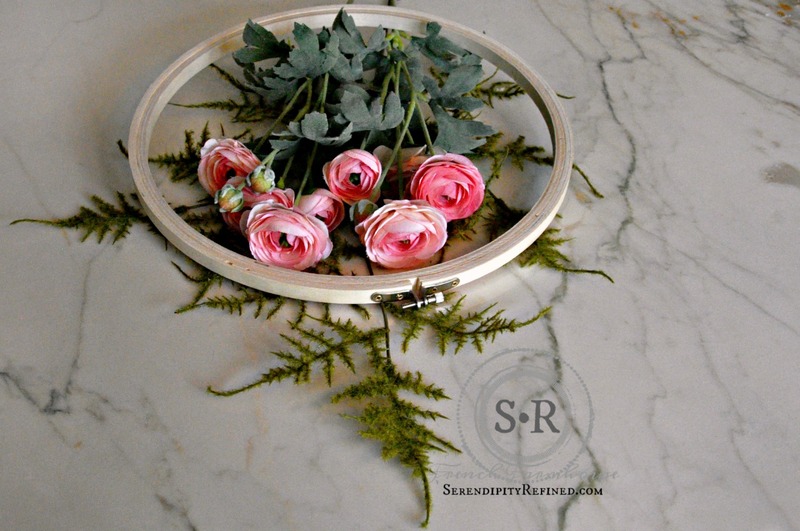 When I saw these fabulous pink ranunculus on the Instagram feed of my sweet friend Kim from Savvy Southern Style, and she mentioned that they were 50% off, I knew that I had to have them! 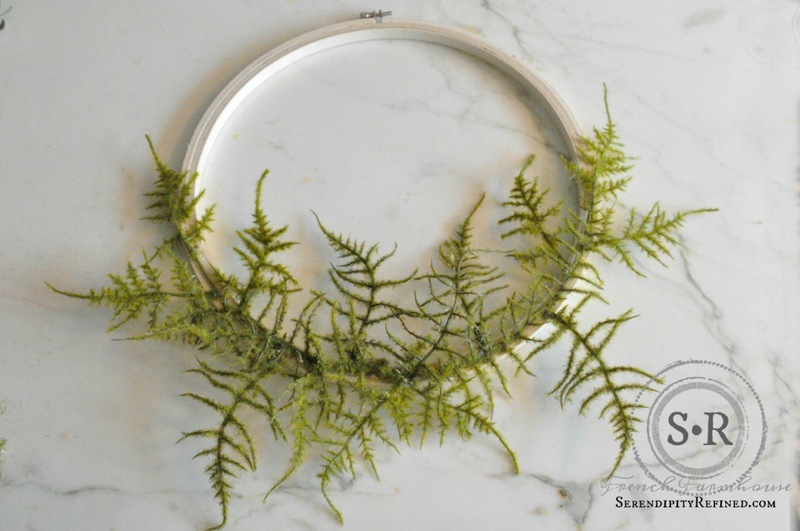 I grabbed just a couple of stems and put this wreath together yesterday morning using a wooden embroidery hoop, one stem of faux fern and two stems of ranunculus. Yep, that's it. It took longer to get through the check out line at the craft store than it did put this wreath together. 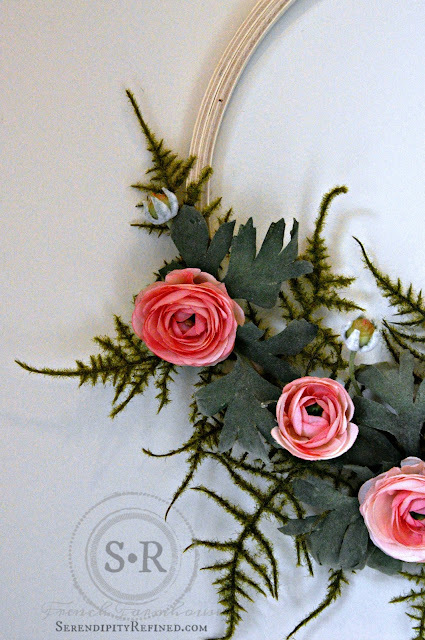 The only tools that I used were a hot glue gun and a pair of wire snips to cut the stems apart into three sections. 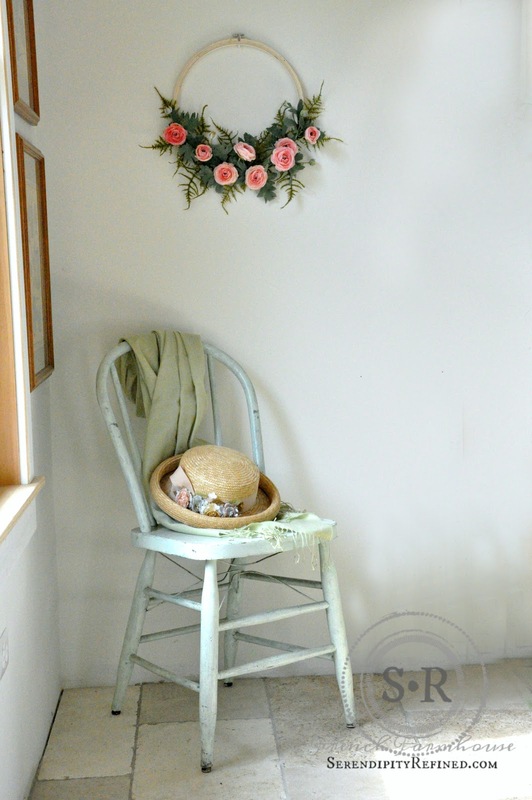 I gently bent two of the pieces to follow the shape of the hoop and glued them into place. I took the third section apart and used the "fronds" to fill in empty spots. Once that step was complete, I did the same thing with the flowers using both the leaves and the buds to form a semi-circle at the bottom of the wreath. This wreath is so simple and inexpensive that I may make some as gifts for Mother's Day or Easter...and wouldn't they be cute for a bridal or baby shower!? Here's a close-up of the flowers. 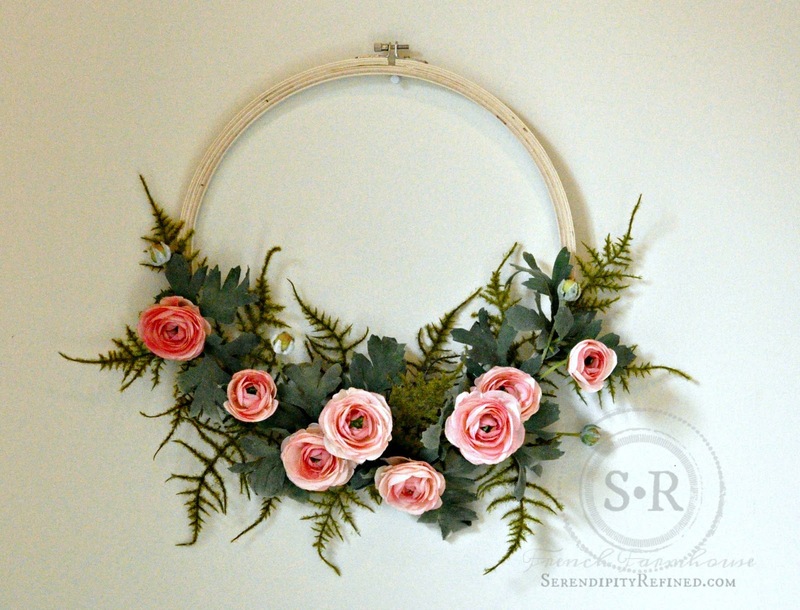 I love how delicate the ferns are and the simplicity of using just a few flowers.